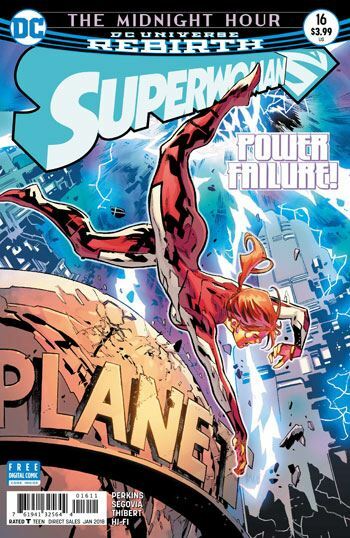 Lana Lang learns the secret of Midnight in the latest issue of Superwoman. 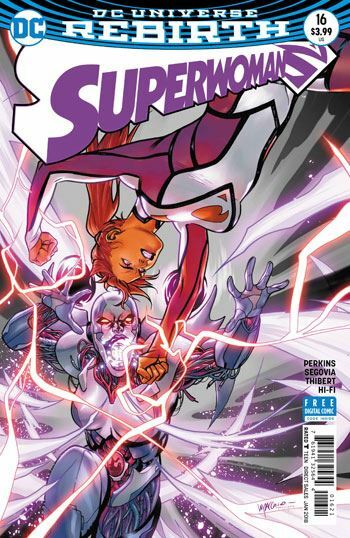 Steel has been captured by the strange entity, and Lana needs the help of Natasha Irons, Traci 13 and Maxima to figure out what is going on. This seems to be the track that K Perkins is taking with this book, Superwoman needing to be part of a group to work effectively. That formula has worked very for the DC tv shows, but in the context of this comic book seems to weaken the character a bit. Or, perhaps, it is Perkins’ intent to show how the women are more able to unite towards a common goal. Can’t quite tell yet. Needs a few more issues to make that pattern clear, if it is the goal. At any rate, I was pleased by the ending, and the explanation for Midnight. In fact, I enjoyed this issue more than most since Perkins has taken over the book. I like Lana Lang as a character, and have been enjoying her super hero career. But I still don’t quite see this book burning up the stands. It’s a decent read, but not a great one, and I don’t foresee a long future for the series, unless something big changes with it.